Close your eyes. Picture, if you will, a healthy stream. What comes to mind? Perhaps you’ve conjured a crystalline, fast-moving creek, bounding merrily over rocks, its course narrow and shallow enough that you could leap or wade across the channel. If, like me, you are a ﬂy ﬁsherman, you might add a cheerful, knee-deep angler, casting for trout in a limpid riffle. It’s a lovely picture, ﬁt for an Orvis catalog. It’s also wrong. What do you see this time? No longer is our stream a pellucid, narrow, racing trickle. Instead it’s a sluggish, murky swamp, backed up several acres by a messy concatenation of woody dams. Gnawed stumps ring the marsh like punji sticks; dead and dying trees stand aslant in the chest-deep pond. When you step into the water, you feel not rocks underfoot but sludge. The musty stink of decomposition wafts into your nostrils. If there’s a ﬁsherman here, he’s thrashing angrily in the willows, his ﬂy caught in a tree. And it’s not just ﬁshermen and wildlife who beneﬁt. The weight of the pond presses water deep into the ground, recharging aquifers for use by downstream farms and ranches. Sediment and pollutants ﬁlter out in the slackwaters, cleansing ﬂows. Floods dissipate in the ponds; wildﬁres hiss out in wet meadows. Wetlands capture and store spring rain and snowmelt, releasing water in delayed pulses that sustain crops through the dry sum-mer. A report released by a consulting ﬁrm in 2011 estimated that restoring beavers to a single river basin, Utah’s Escalante, would provide tens of millions of dollars in beneﬁts each year.4 Although you can argue with the wisdom of slapping a dollar value on nature, there’s no denying that these are some seriously important critters. Like many torrid romances, our relationship acquired a certain frisson from the certain knowledge that it was doomed. Although our beaver showed no inclination to dam the canal—and indeed, beavers often elect not to dam at all—we knew the ditch rider would not tolerate the possibility of sabotage. The next time the rider passed us on his ATV, a shotgun lay across his knees. The grapevine gave us unhappy tidings a few days later: Our ditch beaver was no more. That zero-tolerance mentality remains more rule than exception: Beavers are still rodenta non grata across much of the United States. They are creative in their mischief. In 2013 residents of Taos, New Mexico, lost cell phone and internet service for twenty hours when a beaver gnawed through a fiber-optic cable.5 They have been accused of dropping trees atop cars on Prince Edward Island,6 sabotaging weddings in Saskatchewan,7 and ruining golf courses in Alabama—where, gruesomely, they were slaughtered with pitchforks, a massacre one local reporter called a “dystopian Caddyshack.”8 Sometimes they’re framed for crimes they did not commit: Beavers were accused of, and exonerated for, flooding a film set in Wales.9 (The actual culprits were the only organisms more heedless of property than beavers: teenagers.) Often, though, they’re guilty as charged. In 2016 a rogue beaver was apprehended by authorities in Charlotte Hall, Maryland, after barging into a department store and rifling through its plastic-wrapped Christmas trees.10 The vandal was shipped off to a wildlife rehab center, but his comrades tend not to be so lucky. Despite the fur trade’s ravages, beavers today face no danger of extinction: Somewhere around fifteen million survive in North America, though no one knows the number for certain. In fact, they’re one of our most triumphant wildlife success stories. Beavers have rebounded more than a hundredfold since trappers reduced their numbers to around one hundred thousand by the turn of the twentieth century. 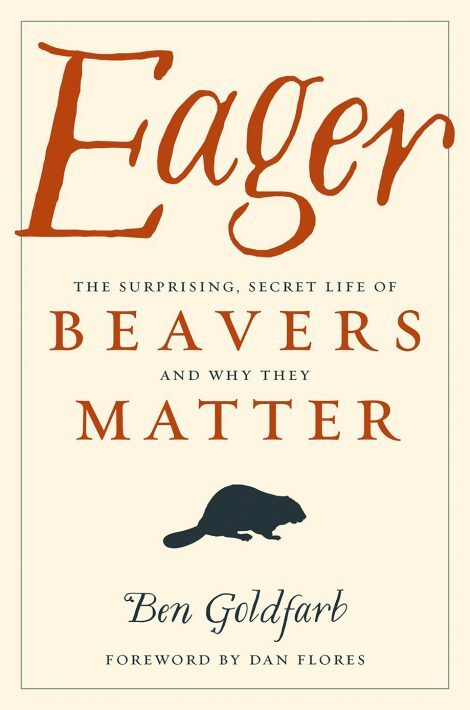 The comeback has been even more dramatic across the Atlantic, where populations of a close cousin, the Eurasian beaver (Castor ﬁber), have skyrocketed from just one thousand to around one million.12 Not only have beavers benefited from conservation laws, they’ve helped author them. It was the collapse of the beaver—along with the disappearance of other persecuted animals, like the bison and the passenger pigeon—that sparked the modern conservation movement. But let’s not pat ourselves on the backs too heartily. As far as we’ve come, beaver restoration has many miles farther to go. When Europeans arrived in North America, the naturalist Ernest Thompson Seton guessed that anywhere from sixty million to four hundred million beavers swam its rivers and ponds.13 Although Seton’s appraisal was more than a bit arbitrary, there’s no doubt that North American beaver populations remain a fraction of their historic levels. 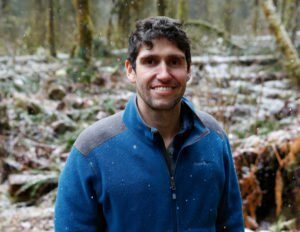 Will Harling, director of the Mid Klamath Fisheries Council, told me that some California watersheds host just one one-thousandth as many beavers as existed before trappers pursued them to the brink of oblivion.